It seems as though nature has caught the spring bug. Finally! How can I tell? Well, besides the sunny days we have been thoroughly enjoying, there are flowers everywhere! Tulips, lilacs, daffodils, crocuses, and even the pesky dandelions. One of the first things you must know about my mother is her ardent love for tulips. Mother doesn’t necessarily care for roses, but tulips…oh my. I’ve spoken of this love a couple of times and last spring mother was the happiest of women when we visited the tulip farms nearby. (Check out the post here. It’s one of my favorites). 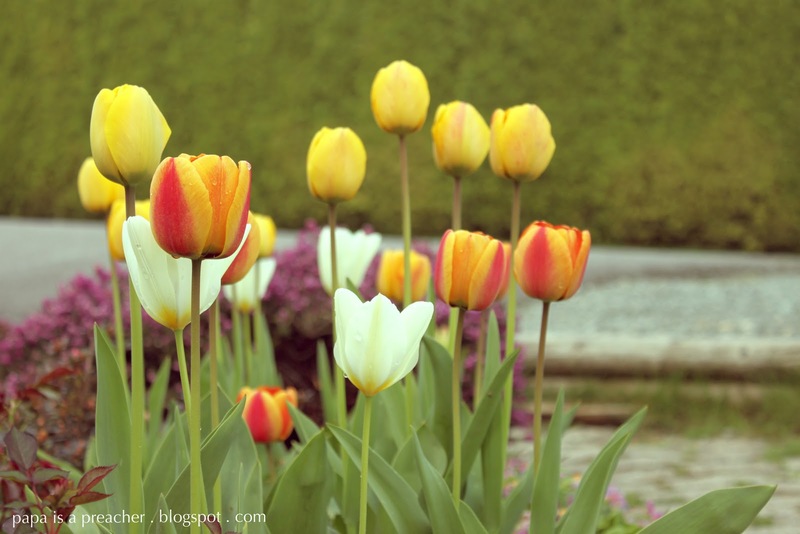 If you remember, we moved into a new home just this past winter and this spring mother was delighted to find that the former owner had planted tulips in the gardens surrounding the house. She’s been talking about them so much for the last couple of weeks that I decided to show you. The tulips are so beautiful! 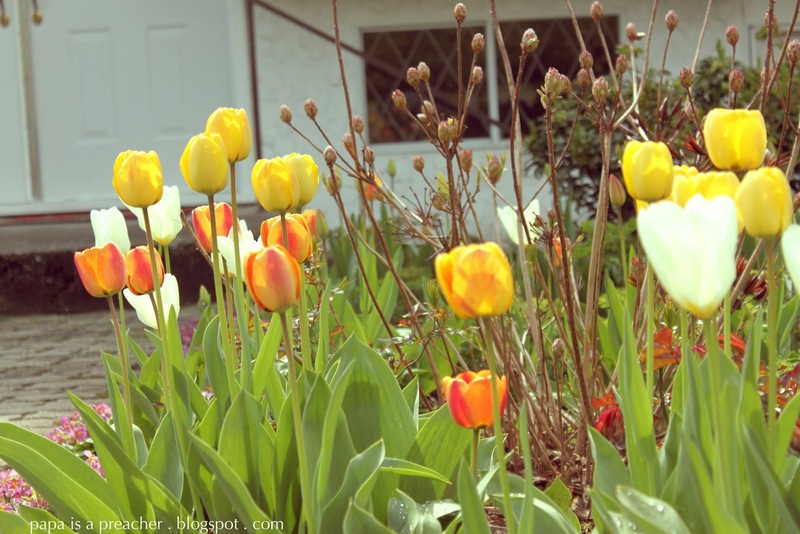 We used to have tulips at our last house and I really miss them. They're such a cheerful flower, don't you think? Your mother – and me too! Those pretty little cups holding the message of spring's arrival. I love your tulips! I can see why your mom loves them. Me, I have a few, but as soon as they are ready to open the bunnies come and EAT the blooms right off. It is sad, but funny at the same time. I am lucky if I see one open for 5 min. I love tulips, too. Ours are just starting to open up now – today, in fact. I like to buy cut ones from the florist when I can, but sadly they don't last long. I love your photos, though; they're so bright and uplifting. Thanks for sharing. Gardening is so good for the soul. 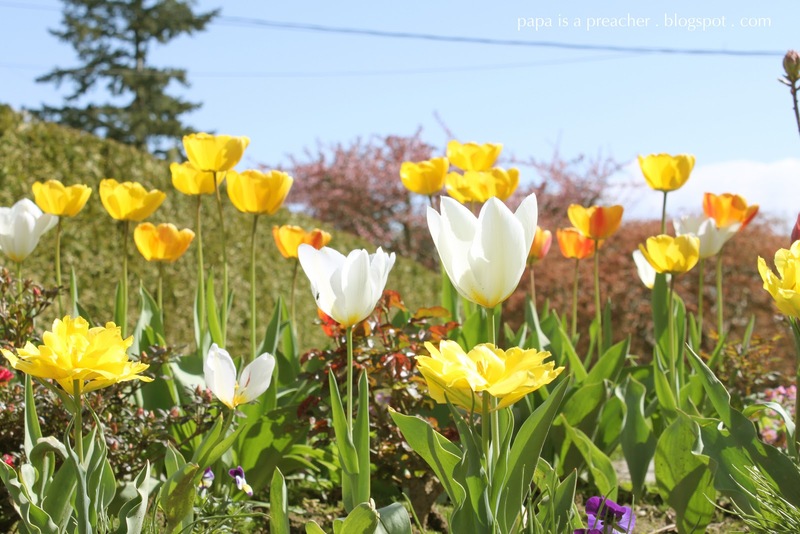 Tulips are so bright and hopeful, aren't they? They always come at just the right time, when my soul is just crying out of them. 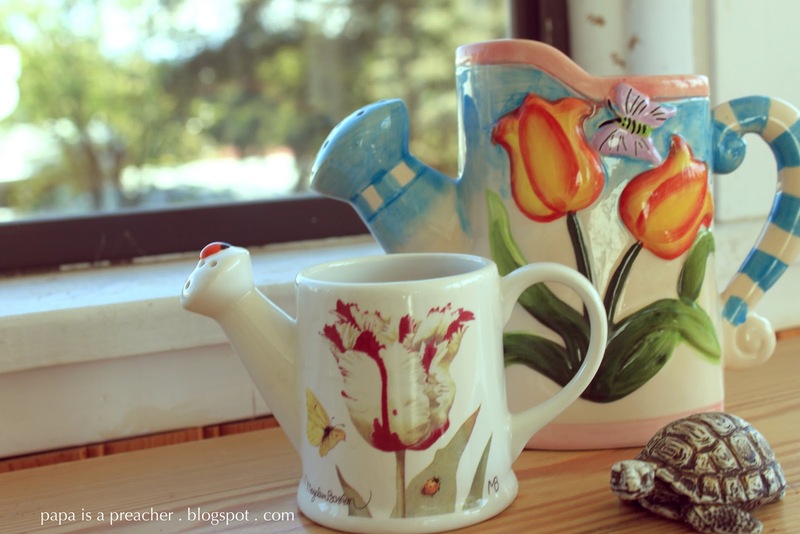 I think I need to invest in a tulip mug. Gorgeous photography as always, Larissa. They are pretty! Nice pictures. I am glad spring is here already!